Become an Environmental Learning Unit volunteer and help teach Seattleites about the plants, the animals and the parks in our communities. We’re currently recruiting for Seattle Urban Nature Guides in addition to other great positions. Seattle Urban Nature Guides enhance, promote and foster appreciation of nature by connecting families and students with their Seattle park lands, and providing educational opportunities for all. Fall applications are available now and we are accepting them through August 4. Want to learn more? Meet current volunteers and staff and learn more about volunteering with us at our volunteer open houses at Camp Long and Discovery Park. Resolve to begin the New Year on a positive note – become a volunteer! Our Environmental Education and Outdoor Learning Unit will be hosting a Volunteer Open House at Discovery Park Visitor Center from 7:30 – 9:00 p.m. on Thursday, January 12. Drop by anytime during the evening to learn about the variety of volunteer opportunities available. Current volunteers and City staff will be on hand to answer questions and provide additional information. NEW! Visitor Center Ambassadors – provide information for the public on weekends at the Discovery Park Environmental Learning Center. One-day training provided on Saturday, February 11. Training includes Discovery Park tour and history, public speaking and public engagement. NEW! Beach Ambassadors – provide information for the public on weekends at Discovery Park beaches and potentially other Seattle salt water beaches in the near future. One-day training provided on Saturday, March 11. Training includes public speaking, intertidal natural history, and public engagement. Seattle Urban Nature Guide – provide environmental education and hands-on learning experiences for school groups, the general public and at special events throughout the city. Spring training is on Thursdays and/or Saturdays, March 23 – April 15. Applications are due February 15, 2017. Orientation for the spring training is Saturday February 18. Training includes public speaking, natural history of flora and fauna, teaching techniques, team work, cultural diversity. Junior Naturalist – provide assistance to naturalists during Summer Nature Day Camp. Youth 13-16 years old, learn about nature and develop leadership skills while promoting stewardship at Discovery Park and in the community. Office Assistant – provide support for environmental education projects. Training provided for individual projects. Database Entry – provide data entry for bird sightings records. Experience with databases a plus, training provided for AviSys and eBird. Join Seattle Parks and Recreation at a Volunteer Information Fair to learn about our volunteer opportunities. Our volunteers coach youth sports, help us plant native trees in our parks, serve on various advisory councils and boards, and provide countless other services that allow us to have the first-rate park and recreation system that Seattle loves and depends on. We will be hosting a Volunteer Information Fair on January 25 from 12 to 3 p.m. at Rainier Community Center (4600 38th Ave. S), and on February 2 from 10 a.m. to 1 p.m. at Northgate Community Center (10510 5th Ave. NE). You can find out what opportunities are available, learn more about the jobs that volunteers do, ask questions and get registered as a volunteer on site. Plus, we will be serving a free lunch! Representatives from several of our units will also be on hand to describe their volunteer needs, including the Green Seattle Partnership, our Environmental Learning Centers, Community Advisory Councils, Adopt a Park and more. In 2015, 38,386 people volunteered for Seattle Parks and Recreation, providing more than 270,000 hours of service! Volunteers are one of our most important resources in helping us reach our goals of supporting healthy people, a healthy environment and strong communities. 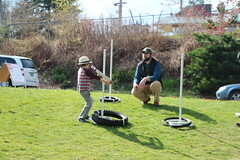 Our volunteers coach youth sports, help us plant native trees in our parks, serve on various advisory councils and boards, and provide countless other services that allow us to have the first-rate park and recreation system that Seattle loves and depends on. Join us on January 25 from 12 to 3 p.m. at Rainier Community Center, or on February 2 from 10 a.m. to 1 p.m. at Northgate Community Center to learn about our many volunteer opportunities. Representatives from several of our units will be on hand to describe their volunteer needs, including the Green Seattle Partnership, our Environmental Learning Centers, Community Advisory Councils, Adopt a Park and more. For questions or to register in advance, please call 206-615-0619. The awards will be presented at a recognition ceremony to be held from 6 to 8:30 p.m. on Tuesday, Dec.6, 2016 in the Brotman Forum at the Seattle Art Museum, 1300 First Ave. 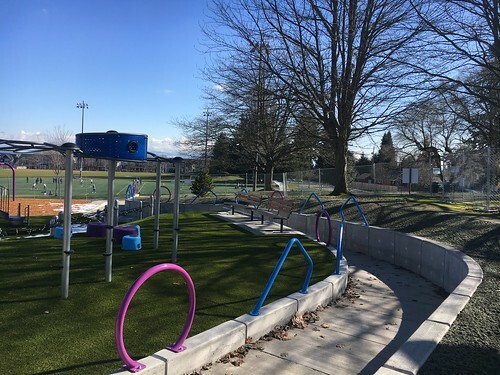 The Denny Awards acknowledge and honor the crucial role volunteers play in supporting neighborhood parks, community centers and recreation programs throughout Seattle. 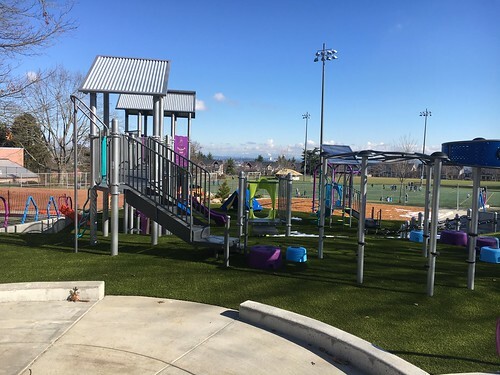 The awards reflect the early commitment by the Denny family to the preservation of parkland and open space for public use and enjoyment. David T. and Louisa Denny donated land that became the first Seattle park, Denny Park, in 1884. In 2015, 38,386 people volunteered for Seattle Parks and Recreation, providing 270,360 hours of service, which is a donation valued by Independent Sector at $23.07 per hour or $6.2 million dollars in 2015. The Green Seattle Partnership touts Green Seattle Day as its biggest party of the year, and this year’s event lived up to the hype! Green Seattle Day, held Saturday, Nov. 8, saw 845 volunteers plant more than 4,600 plants across 21 parks! The event was based out of a Seattle Parks community center for the first time and provided helpers with a warm and hardy lunch. 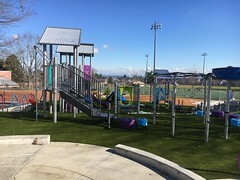 Forterra’s Green Cities Program Director Joanna Nelson de Flores said she believes those changes helped created a meaningful neighborhood event. Councilmember Sally Bagshaw plants trees with volunteers in the Cheasty Greenbelt. “The turnout was incredible, and there was palpable energy around supporting our urban forests that was really exciting,” Nelson de Flores said. Deputy Mayor Hyeok Kim gave a warm welcome to about 175 volunteers at Rainier Beach Community Center to launch the event, and Councilmember Sally Bagshaw was just a few miles away kicking off the Cheasty Greenbelt site with Green Seattle Forest Stewards and 150 volunteers. Councilmember Mike O’Brian supported the day at Kiwanis Ravine. 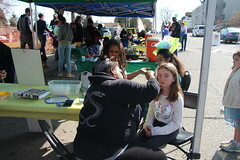 Green Seattle Day is becoming an annual celebration and tradition for many community organizations. Special thanks to Green Seattle Partnership program staff and forest stewards and to Parks Natural Area Crew, Heavy Equipment Crew and District staff for handling the many logistics involved. 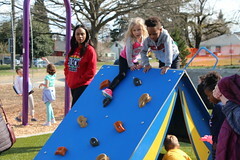 Acting Superintendent Christopher Williams today announced the winners of Seattle Parks and Recreation’s 2013 Denny Awards for Outstanding Volunteer Stewardship. The winners are a cross-section of Seattle’s most tenacious, creative and hard-working volunteers who donate precious time and energy to improving Seattle’s parks and recreational programs. Each year, more than 40,000 volunteers donate about 350,000 hours to Seattle Parks and Recreation. Their service is valued at between $8 million and $10 million annually. Winners will be recognized at an awards ceremony on Dec. 3 at the Museum of History and Industry. Mary Ann became a true friend and benefactor of the Seattle Japanese Garden when she signed up for guide training with the Arboretum Unit 86 volunteer group in 2003. Her enthusiasm for the garden was infectious. She led more tours than most guides. In 2007 she and her husband Bob made the commitment to raise $500,000 which was half the private funds needed to create the Japanese Garden entry gatehouse. They did this in less than 90 days. Mary Ann died on October 7, 2013, age 83. She is survived by Bob, their two children Robert and Ann, and three granddaughters, Marene, Reagan and Tory. Jim coached for Rain City Flyers since the team was organized in 1989, becoming head coach in 1994. The Rain City Flyers is a volunteer organization that partners with Seattle Parks and Recreation to provide opportunities for youth to compete in track and cross-country. Jim is an amazing coach: always positive, he has an easygoing, quiet coaching style appreciated by parents and young athletes alike. His coaching builds a strong community that helps build a positive future for youth in Seattle. Thanks to Jim’s leadership, thousands of youth have learned about cross country, track and field, and most importantly, about life skills. The birding volunteers at Discovery Park help Seattle Parks and Recreation as bird tour leaders and citizen scientists conducting a monthly Neighborhood Bird Project survey. have volunteered for over a decade; the stalwarts Neil Zimmerman and Dan Harville have volunteered since the early 1980s. The bordering volunteers combine commitment to Discovery Park, commitment to birds, the ability to contribute to science, and a sense of community developed with fellow volunteers, park staff, and members of the public who enjoy and learn from the seasonal bird tours. Over the past seven years, the children and teens in the Aspiring Youth Summer Camp have contributed over 10,000 volunteer hours with Seattle Parks and Recreation. As volunteers, campers build a connection to the parks as they work to improve the beautiful natural settings. In the summer of 2013, over 180 campers contributed 2,200 hours of community service at Ravenna Park. Campers have contributed over 1,200 hours each summer since 2007. The young people in Aspiring Youth Summer Camp have autism spectrum disorder and other similar traits. Their experience building trails and improving habitat in the parks gives them an opportunity to give back to the community and gain self-confidence. Alfred has coached in Seattle Parks and Recreation programs since 1985. He is dedicated to working with area youth: coaching basketball and teaching life skills through sports. Alfred has coached as many as four teams during one season. He has volunteered at Rainier Beach, Van Asselt and Rainier Community Centers throughout his coaching career. In 2009, Alfred created the non-profit organization Seattle Youth Recreation Foundation to enhance the experience of Seattle Parks and Recreation community centers youth. His organizations host all-season basketball and provides scholarships. Mary DeJong and Andrea Ostrovsky, co-founders of the Friends of Cheasty Greenspace at Mt. View, have led the community and Friends of Cheasty at Mt. View on a mission to reclaim, restore and re-imagine 10 acres of natural area in a 43-acre forested area that separates Beacon Hill and the Rainier Valley. Over many years, this group has tirelessly demonstrated exceptional stewardship of 10 beautiful acres of parkland and has provided significant and much-needed advocacy to benefit this greenspace. The vision of the Friends of Cheasty Greenspace at Mt. View is expansive and inclusive: in the past six years its dedicated volunteers have put in over 6,000 hours to create a healthy urban wilderness to provide a safe and welcoming place for everyone—especially urban children and youth—to enjoy. Cheryl Klinker is committed to Thornton Creek watershed. For Many years, she has been on a mission to educate the community and share her passion about watershed restoration. Her volunteer work encompasses stewardship of green spaces and participation on several committees. 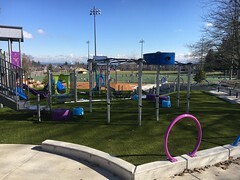 Cheryl was a member of the Seattle Parks and Recreation Naming Committee and a member of the Citizens Oversight Committee for the 2000 Pro Parks Levy. Cheryl is an effective team member and leader with a vision for creek restoration. She emphasizes watershed education and community building in all her work. Cheryl is currently the chair of the Thornton Creek Watershed Oversight Council. The Denny Awards are named after David T. and Louisa Denny, who donated land for the first Seattle park in 1884 (Denny Park), where Seattle Parks and Recreation headquarters is located. 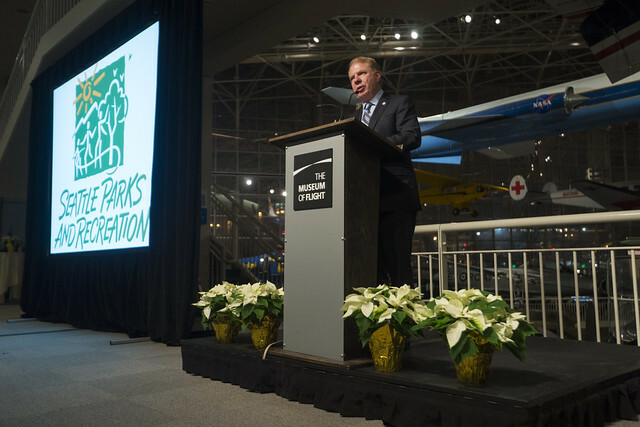 Seattle Parks and Recreation gratefully acknowledges the Denny Award sponsors and supporters: the Museum of History and Industry, Seattle Parks Foundation, Associated Recreation Council, Parker Design House, Ivar’s, Seattle Aquarium, Seattle Japanese Garden, and Tom Douglas Restaurants.